What is Family Fun Day all about? 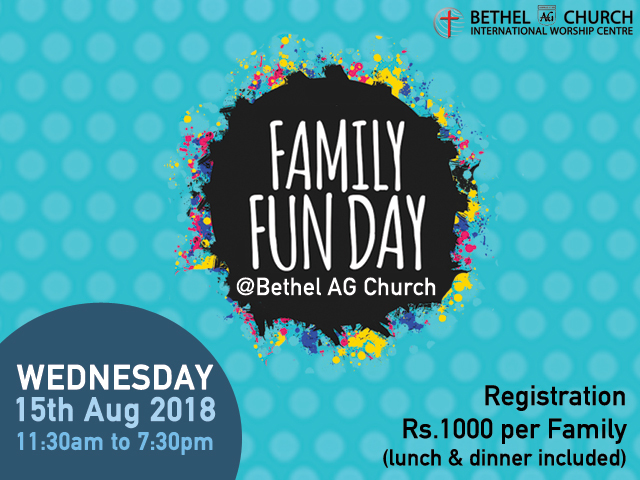 As a church, we desire to bring together your family and help you spend the whole day together having fun, laughter even as you learn some solid principles about good parenting. The Family Fun Day is for parents, expecting parents and guardians. The sessions are based on Christian principles but designed for all couples with or without a church background.